The story of Charlotte’s Web begins in Colorado, where the Stanley brothers (six of them!) grow industrial hemp containing CBD. But this supplement isn’t the same thing as marijuana (and won’t get you high). If you’re confused, join the club. There’s a lot of new lingo to learn, so before we meet the brand, let’s get schooled on all things hemp! First things first, here’s a rundown of common terms you’ll encounter as you explore hemp-based products. Cannabinoids: A group of fatty compounds found in hemp (and also produced by the human body) known for playing a role in immunity and central nervous system functioning. Cannabidiol (CBD): Cannabidiol is a phytocannabinoid (see below), part of a sub-group of cannabinoids produced by hemp. Endocannabinoid System (ECS): Endocannabinoids are cannabinoids made by our bodies, and ECS is our body’s regulatory system based on biochemical relationships that help us maintain equilibrium. Endocannabinoids are found in the immune system, the central nervous system, the brain, organs, connective tissue, and glands. Flavonoids: A group of phytonutrients that serve as cell messengers. Phytocannabinoids: A sub-group of cannabinoids produced by hemp (“phyto” means “plant”), including cannabidiol (CBD), cannabigerol (CBG), and cannabichromene (CBC), among others known to support overall wellness. Terpenes: Fragrant oils found in hemp and other plants, that bind to receptors in the human body. Tetrahydrocannabinol (THC): THC is a cannabinoid, and the active chemical in cannabis (marijuana). While hemp and marijuana come from the same plant species—cannabis sativa—they aren’t the same plant. And although they share similar genes and certain chemical compounds, here’s the biggest difference: hemp is high (no pun intended) in cannabidiol, a phytocannabinoid recognized for its wellness properties, and is not psychoactive. Marijuana has larger concentrations (>0.3%) of tetrahydrocannabinol (THC), known for its psychoactive effects. We know you still have questions, so we chatted with Mark Gillilan, head of marketing at Charlotte’s Web, to get answers straight from the source! What’s the difference between hemp extract and CBD? In short, the whole is greater than the sum of its parts. Cannabidiol (CBD), is one of over 80 phytocannabinoids in the hemp plant. The principal of using the “whole plant” is practiced in many cultures, including modern Western herbalism. The idea is that the plant’s activity is safer and more reliable than extracting isolated chemical compounds from different parts of the plant. Hemp contains a symphony of over 400 compounds like cannabidiol (CBD), secondary phyto-cannabinoids, terpenoids, terpenes, and flavonoids. With an internal “checks and balances” system in place, these compounds work synergistically to heighten the therapeutic effects of cannabidiol and naturally buffer less desirable compounds (like THC) that come along with the plant. What’s the difference between hemp extract oil and hemp oil? Hemp extract oil is extracted from the aerial parts of the hemp plant (flowers, stems and leaves), which are the only parts of the plant with cannabinoid concentrations high enough from which to extract useful amounts. Hemp oil, on the other hand, is extracted from the seeds of the plant, which don’t contain phytocannabinoids at a detectable level. Hemp seed oil can be used in place of any other cooking oil. Hemp extract oil can be used as a nutritional supplement and in recipes—just be sure to avoid heating it, or you won’t preserve the delicate balance of beneficial compounds. How will hemp extract oil help me? Hemp extract oil is a nutritional supplement that people use for a wide variety of reasons to maintain a healthy lifestyle. Benefits may include relief from everyday stress, help in supporting restful sleep, recovery from exercise-induced inflammation, and to bring about a sense of calm and focus. What are the “Locks and Keys”? Discovered in the 1990s, the endocannabinoid system (ECS) is thought to be one of the most vital and vast receptor systems for sustaining good health, affecting many of our biological processes like appetite, sleep, digestion, mood, memory, metabolism, neuro-protection, hormones, and heart function. The ECS regulatory system contains cannabinoid receptors (the “locks”) and a group of diverse chemical compounds called cannabinoids (the “keys”). CB1 is mostly found in the brain, and also the lungs, kidney, liver, bones, heart, and male and female reproductive organs. This receptor is more keyed into tetrahydrocannabinol, the main cannabinoid found in marijuana. CB2 lives in the immune system, with a significant presence in the spleen as well as the lungs, liver, bone and muscle. So, how does hemp fit into the picture? There’s a reason why hemp works so well with the ECS. Hemp contains elevated levels of cannabidiol (CBD), an active phytocannabinoid that works synergistically with other secondary phytocannabinoids and compounds like terpenes and flavonoids. Because the primary objective of the ECS is to maintain homeostasis, for our purposes, this means providing a state of internal stability necessary for survival, regardless of fluctuations in our external environment. If CBD doesn’t have any psychoactive effects, what should we expect to experience? Take the right dosage of Charlotte’s Web: Some people start out with our Hemp Extract Oil concentration but need to bump it up to the Hemp Extract Oil Plus or Hemp Extract Oil Advanced to achieve their personal wellness goals. To get started, take the recommended serving as indicated on the package, for 4 to 6 weeks. Keeping a journal can be a great way to track results, helping you to observe how you feel daily, and also providing a log to reflect on after the initial trial period. If you’re still not where you want to be, we suggest upgrading to the next concentration. Be consistent: For any dietary supplement to work properly, it must be taken regularly. Missing days or servings can affect how it’s helping to support your body. We suggest starting at night, because many report that Charlotte’s Web promotes a sense of calm. This may not be the effect you notice at first, but if great sleep is the result, all the better to be close to bedtime for your first few servings. Listen to your body: Taking supplements is really about investing in your future self. Paying attention to your body today will help you gauge where you’ll stand tomorrow, and also help you to better understand your needs. We’ve found that response times are just as unique as the people taking them! We all have different genetic and biochemical makeups, and have different lifestyle factors that have played a role in our individual health journeys. The bottom line is: be patient, consistent, and know that dietary supplements like Charlotte’s Web are crafted to work with your body naturally. The results come by way of steady improvement, making your health more sustainable every step of the way. Ok, I’m intrigued. For someone brand new to CBD, what’s the best product to start with? There’s no one size fits all! We suggest starting with a product and strength you feel comfortable with, depending on your familiarity with the category. Stick with it for a few weeks, and if you are not happy with the results, move up a strength or go from taking once a day to twice a day. What’s the difference between the product versions? Our products come in three forms: oils, capsules, and topicals. The oils and capsules come in two strengths and the topicals come in two forms. Which product you choose comes down to your health and wellness goals. If you like adding supplements to your smoothie in the morning, then oils are for you. They come in two flavors—mint chocolate and olive oil. If you’re new to using Charlotte’s Web hemp extracts, you might like to try the Hemp Extract Oil. It’s a great introduction to the qualities found in our products at an affordable price. 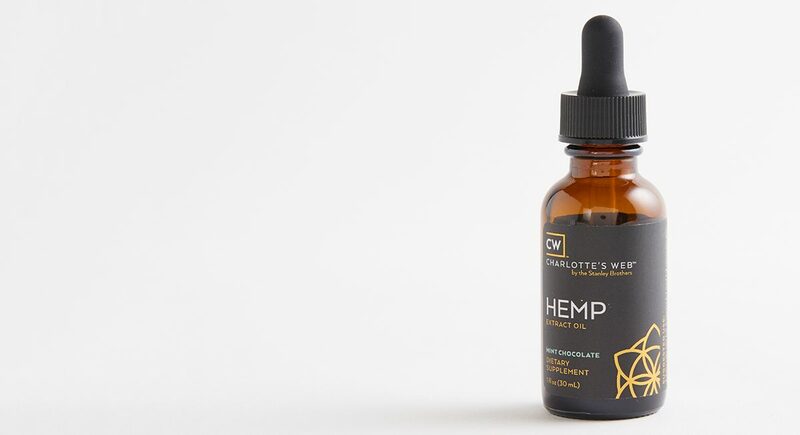 If you’ve tried Charlotte’s Web in the past, regularly consume hemp products, have a generally active lifestyle, or are just looking for phytocannabinoids and phytochemicals, the Hemp Extract Oil Plus is perfect for you. If you already have a supplement routine with capsules, then it’s easy to add one more each day. For even more benefits, try a topicals product in addition to our supplements, to help support healthy-looking skin. 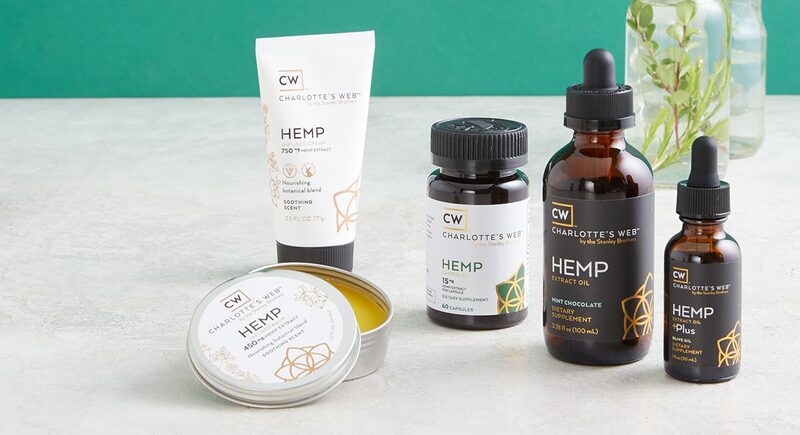 The process of growing hemp (100% in the U.S.), harvesting the plants, and processing extract for customers is overseen by Charlotte’s Web every step of the way. Pesticide-free: CW leverages natural predators of common hemp pests, which eliminates the need for pesticide use. Ladybugs and predatory mites are the top predators that help get the job done! Take cover: Cover crops and no-till farming methods help suppress weeds and encourage healthy soil. No sprays: CW never sprays anything toxic, harmful, or chemically regulated by the EPA. Weed control: Every growing season, CW hires up to 60 people to manually tend the fields and remove weeds. This boosts the local economy and keeps pesticides and herbicides off the plants. CW utilizes proprietary hemp genetics to ensure consistency year after year. A team of agronomists and chemists personally monitors 250,000 plants from the greenhouse to the field —starting with a nutrient analysis and heavy metals test every March before seeds are planted—to ensure the final product is in tip-top shape before it’s time to harvest in the fall. Starting in August, CW starts sampling the crops every five days to check that the characteristics remain consistent with previous growing seasons, which is verified by third-party lab testing. When the hemp is ready, it’s harvested by hand and hung on-site to reduce the chance of contamination in transport, and dried to a precise moisture content level (8 percent) to inhibit mold and microbial growth. Next up, it’s time to process the dried hemp, which separates the fiber (stalks and stems) from raw material for CW’s products (leaves and flowers). Fun fact: hemp can also be used to make rope, paper, and cloth. The stalks and stems are composted to make farmer plant beds in the local community, and the raw material is run through a small, on-site mill to reduce its size and prep for production. Before the oils are extracted, each bin full of hemp is tested through a third-party lab, which looks out for mold and toxins, and every batch of oil is tested a final time (both internally and through a third-party) to verify the phytocannabinoids profile is spot-on. Thinking of adding hemp extract oil to your routine? It’s best to consult your physician or other health care professional before taking any supplements, to determine if it’s right for your needs. The statements in this post haven’t been evaluated by the FDA, and this product is not meant to diagnose, treat, cure, or prevent any disease.